On May 25, 1938 the Kaysville Rotary Cub was organized and in July 1938 they received their charter. 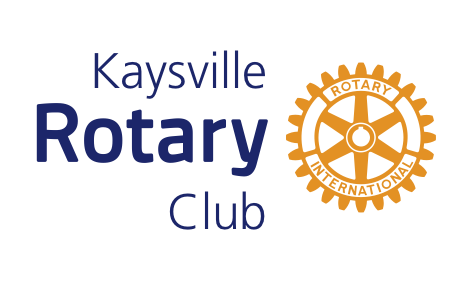 "Sixty members of the Ogden Rotary Cub will go to Kaysville this evening to attend the charter night banquet of the new club in Davis County, sponsored by the Ogden Rotarians. The new club has a membership of 30. The charter will be presented by Henry Dworshak of Burley, Idaho, and accepted for the club by President J. J. Bowman. Mr. Dworshak is retiring district governor. Three hundred invitations have been issued for the banquet, which will be held in Davis County High School. Addresses will be by W. H Loos, retiring president of the Ogden club; PH Mulcahy of Ogden; Mayor George W. Barnes of Kaysville, and Gilbert W. Williams, incoming district governor. Service was the subject of an address at the Ogden club meeting today by Col Andrew Crawford, retiring secretary for the Salvation Army for the western states and Hawaii." 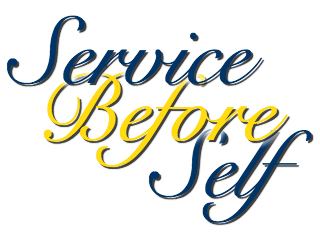 The Rotary motto "Service Above Self" inspires members to provide humanitarian service, encourage high ethical standards, and promote good will and peace in the world. There are 12 million professional and business leaders who are Rotary Cub members worldwide in more than 33,000 clubs in more than 200 countries. Strong fellowship among Rotarians and meaningful community service projects characterize the Rotary Cub. Some of the projects the Kaysville Rotary Cub have contributed to include: Kaysville City Hall pavilion, Ponds Park walkway, annual July 4th race, donation of books and dictionaries to 3rd graders in the Kaysville and South Weber schools, donation of "I Like Me" books to every 1st grader, sponsor of Davis High School students to attend leadership training at RYLA and participate with Youthlinc, sponsor of Rotary Foreign Youth Exchange, provided glasses to families who could not afford them, annually provide a scholarship fund to the DATC Foundation for Students, and many other similar projects.